Whether you want to catch up on the latest TV series, settle down to some reading or want to check out the latest news, a tablet provides you with quick and easy access to your digital world. Because tablets are available in a wide range of sizes, we use pixels per inch (ppi) to represent screen quality as it makes comparing between tablets with differing screen dimensions much easier. The higher the ppi, the clearer and more detailed pictures appear, so it’s one of the most important things to consider if you want to watch films, TV on demand, or play games. A tablet’s processor determines how fast it runs and how much you can do at once, with most being dual or quad core (although some have up to eight cores). More cores allow your tablet to run more apps at the same time, which is ideal for busy work days or keeping an eye on a few apps at once. Tablet storage is measured in gigabytes (GB), with a larger number giving you more space for music, films, documents, and more. 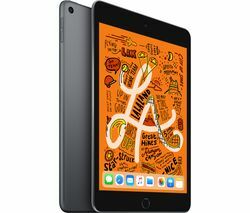 If you just want to store music, tablets with 32 GB and over are ideal, although you should look for one with 64 GB of storage or over if you expect to store a lot of films and TV series. Every tablet has built-in WiFi which allows it to connect to the internet wirelessly. 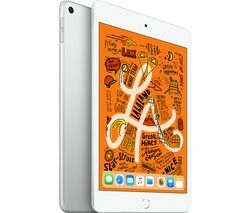 Most tablets can also connect to speakers, headphones, and more wirelessly using Bluetooth. If you want to access the internet from almost anywhere in the country, a 3G or 4G tablet allows you to browse the web, access emails, stream media, and everything else you normally do online without the need for WiFi. Backlight - If you like to read at all hours, an eReader with a backlit screen is vital. Lighting the text from the back means there’s no screen glare, and you can adjust the brightness to suit the light conditions.